A real cruise ship so to speak. 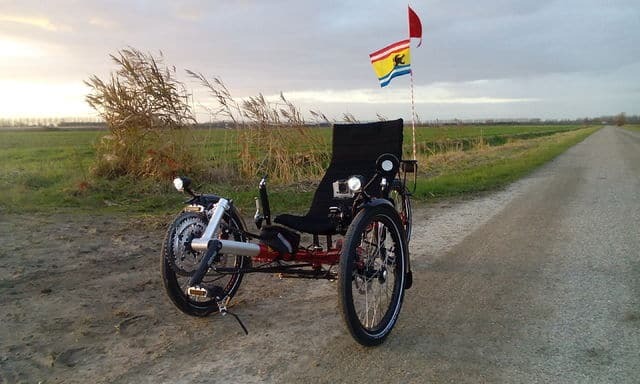 Absolutely wonderful riding a recumbent! 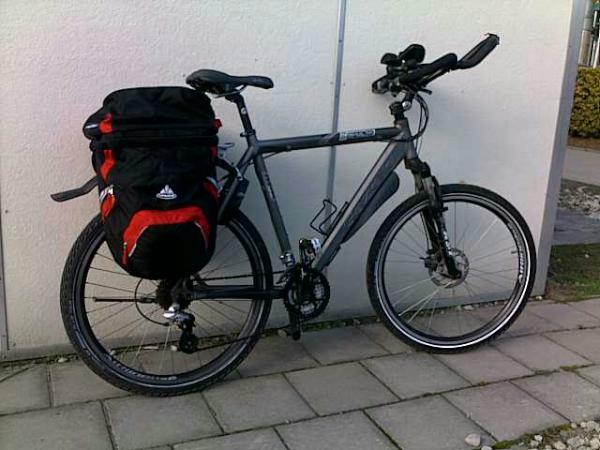 And with the special panniers, you have room for just about too much stuff to carry. Officialy, this bike is my brothers. I’ve had to sell my own while i was unemployed. Last year I gave my brothers M5 a thourough checkup and made it road worthy. Last century model, but the ride is great!!! Personaly, i think the frame size is a bit small for me. So this bike will be replaced. That is, the frame will be replaced. I’ve ordered a Surly Disc Trucker frameset and will be using some of the components off the Gazelle. 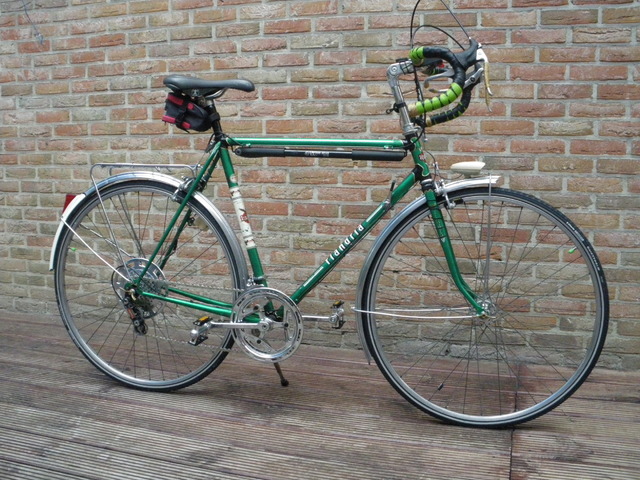 Both the Batavus and the Gazelle have been replaced in july 2012 by a Surly Disc Trucker which I’ve build myself. 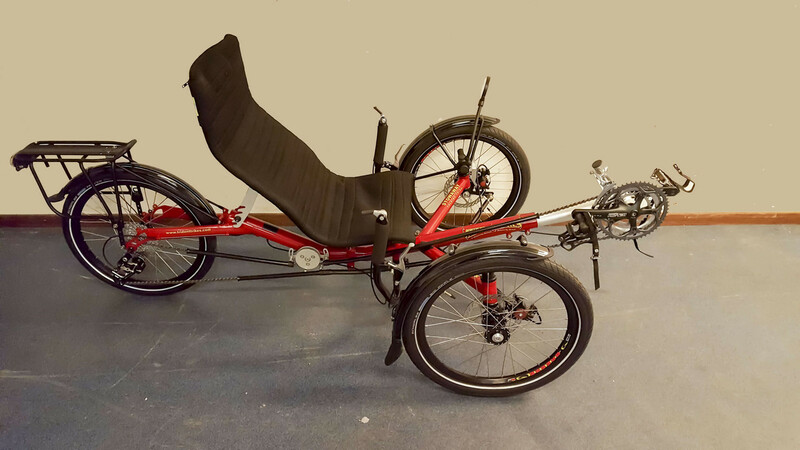 great riding bike and plenty sturdy! A worthy successor! 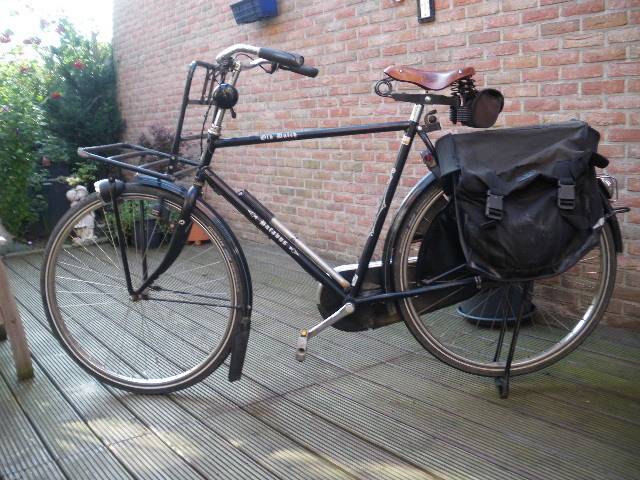 Latest addition: A Trident Trikes Stowaway, bought at Jouta Ligfietsen in Zwijndrecht. At this moment, I haven’t done much riding on it but I will be for sure!